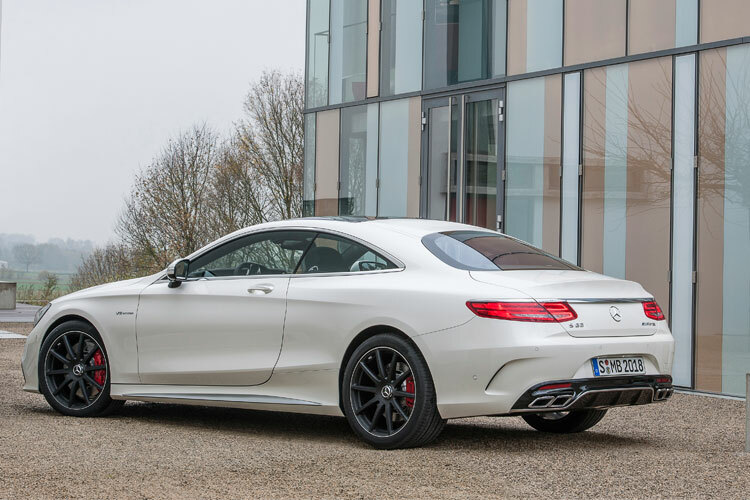 [dropcap size=small]M[/dropcap]ercedes-Benz continues its legacy of high-powered engines, innovative design and technological advancement with the S63 AMG Coupé. The sleek design of the world-class coupé is a vision of beauty and beast for drivers craving a fast, but luxurious ride. The stealth shape and elegant lines enhances the stylish look to emphasize its sporty performance: it exudes dominance and hallmark Mercedes-Benz sensual purity. The design is a stage for the exciting technology at the heart of the new dream car. Numerous filigree aerodynamic elements underline the outstanding driving dynamics: the three-dimensional AMG “twin-blade” radiator grille in silver chrome dominates the front end. 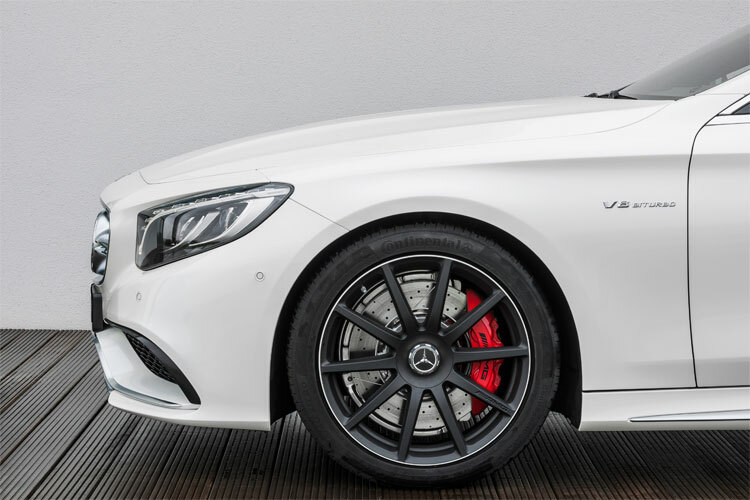 Whether the car is moving or not, distinctive AMG lettering on the side between the louvers leaves no doubt: this is a high-performance model from Affalterbach. The A-wing is located below the radiator grille. This three-dimensional air-ducting element is painted in the body color, spans the entire width of the front apron and displays the stylized “A” that is a hallmark of AMG vehicles. Large, black flics surround the outer cooling air intakes. Down below, the front splitter in silver chrome optimizes the flow of air to the cooling modules. This design feature, which is a familiar sight in motorsport, also reduces front-axle lift and optimizes the vehicle’s aerodynamic balance. Engineered with an impressive of a 5.5-liter, V8 turbo engine that boasts a fierce 577 hp and 664 lb-ft of torque, the standard AMG Performance 4MATIC delivers sport-tuned all-wheel drive for any situation. The S63 uses the most sophisticated weight reducing methods to improve driving dynamics to conserve fuel consumption. 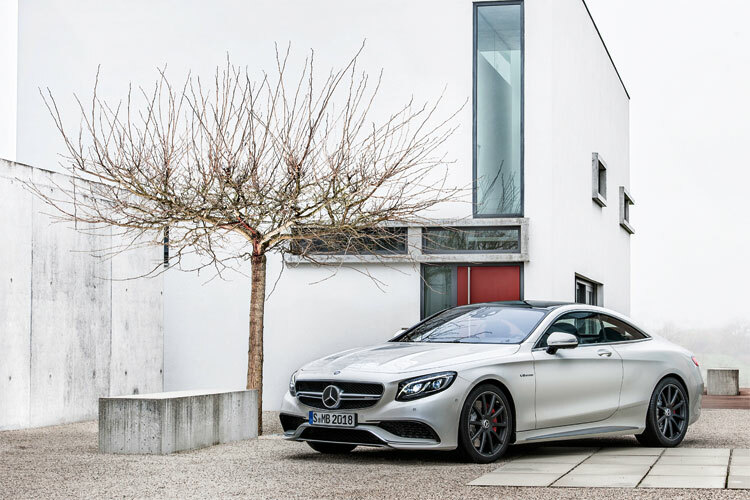 The S class coupe is built with the highest quality materials and innovative technology. Functions include an innovative touchpad for radio, telephone and navigation system operation. The advanced features extend to safety with optional intelligent drive features such as Optional Driver Assistance Package with Intelligent Drive features: DISTRONIC PLUS with Steering Assist, Active Lane Keeping Assist, Active Blind Spot Assist, PRE-SAFE Brake with Pedestrian Recognition, PRE-SAFE PLUS rear-end collision protection, and BAS PLUS with Cross-Traffic Assist. Opening the door reveals the beguilingly luxurious interior of the S 63 AMG Coupé: the instrument panel almost seamlessly transitions into the doors in a wrap-around design. High-quality materials and fine workmanship are combined with a sporty, exclusive design idiom. The newly developed AMG sports seats with electrical adjustment, Memory function and seat heating offer the driver and front passenger optimum lateral support. Fine nappa leather in AMG V8 design with piping and AMG badges on all four-seat backrests together with the embossed AMG emblem on the armrest of the front center console create an exquisite atmosphere on board.